The country’s two biggest parties suffered their worst post-war election result. That leaves Chancellor Angela Merkel with little choice but to forge a tricky and fragile “Jamaica” coalition with the pro-business FDP and the Greens. It’s a blow to hopes for European Union reform. 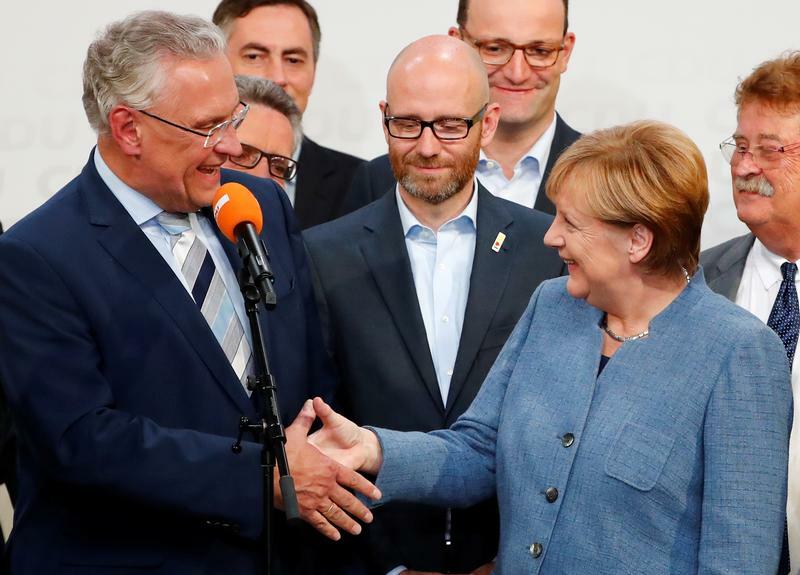 German Chancellor Angela Merkel's right-of-centre CDU/CSU party on Sept. 24 suffered the worst electoral result in its post-war history. The party received 32.9 percent of the votes, down from 41.5 percent in 2013, according to an early estimate by public broadcaster ARD based on exit polls and first votes counted. The Social Democrats were projected to have slipped to 20.2 percent, from 25.7 percent in 2013. The right-wing Alternative for Germany (AfG) more than doubled its vote share to 13.3 percent and is on track to be the third-largest party in the German parliament, the Bundestag. The pro-business Free Democratic Party (FDP)also doubled its share of the vote to 10.5 percent. The Greens gained about one percentage point to 9.3 percent relative to 2013, while the Left Party was on track to gain half a percentage point to 9 percent.